2. 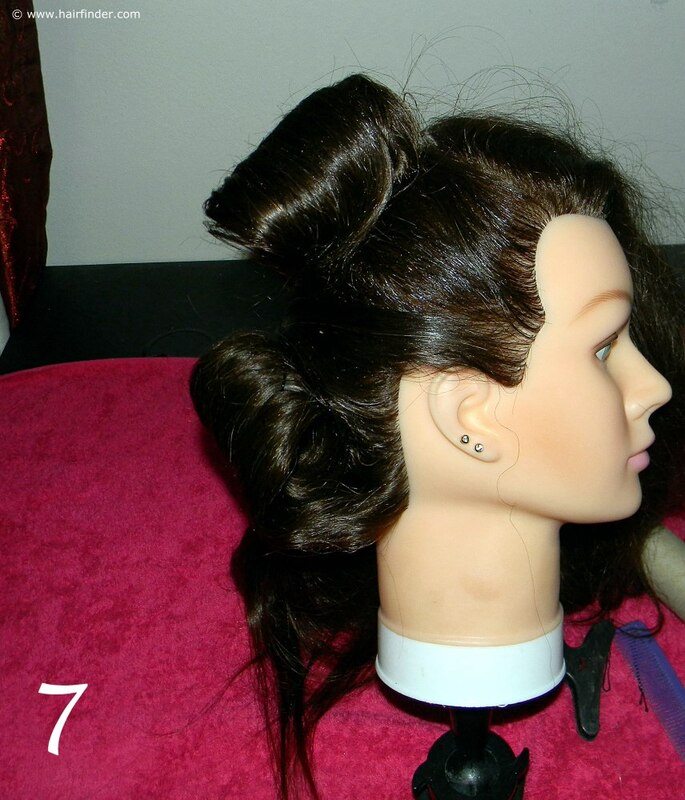 Comb the hair in a backwards direction towards the back of the model. Note that we are using dry hair that has been washed the day before. When the hair hasn’t been washed for a day, it gives the hair follicles a change to produce enough sebum to be distributed among the surface of the hair. This makes it easier for the stylist to create an up-style. 3. 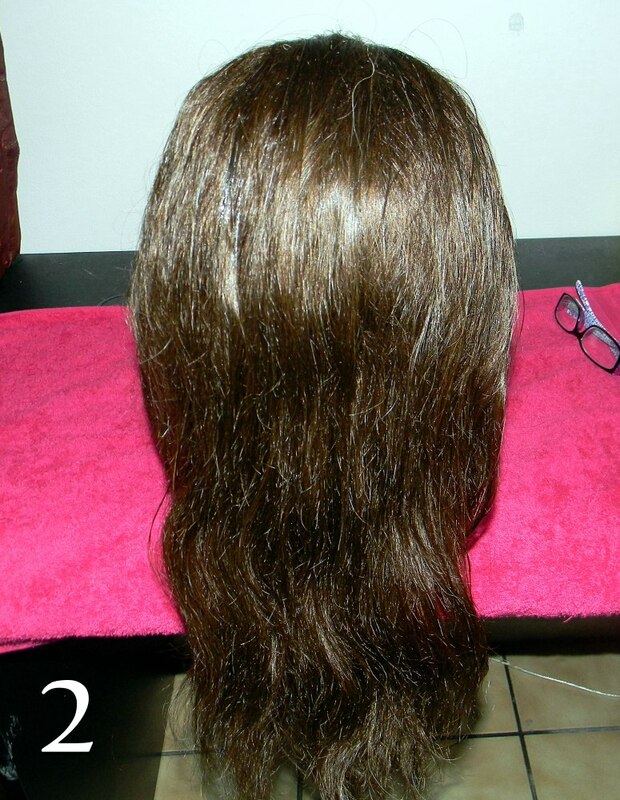 Separate the hair into three relatively even sections. One section will be situated at the back, the next in the occipital bone region and the last one at the front of the head. Use the sharp end of your tail comb to produce neat and precise sections. 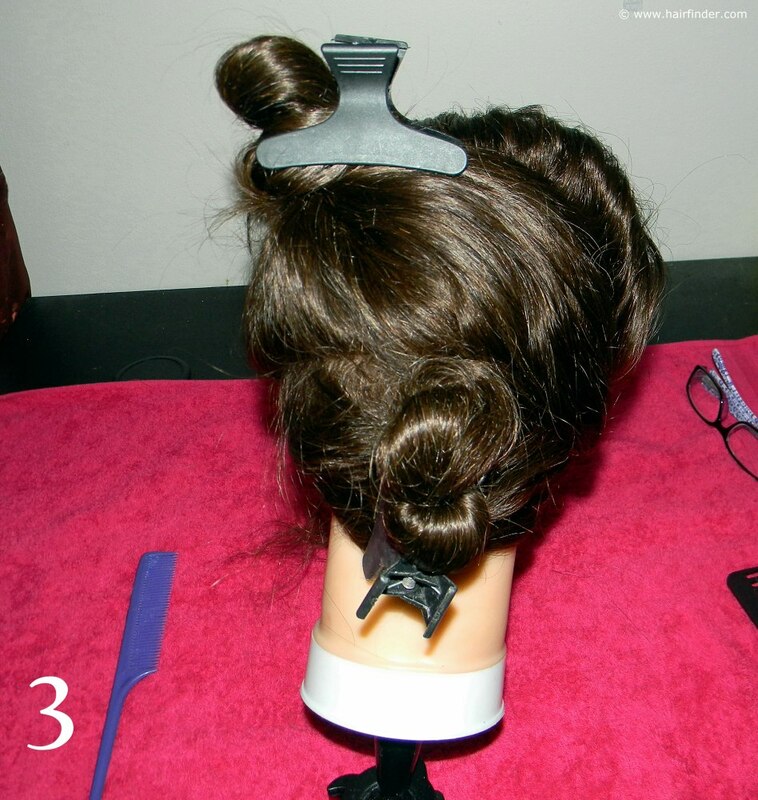 When you have drawn the section out, make sure to secure the hair with a crocodile clip to keep the sections apart. 4. 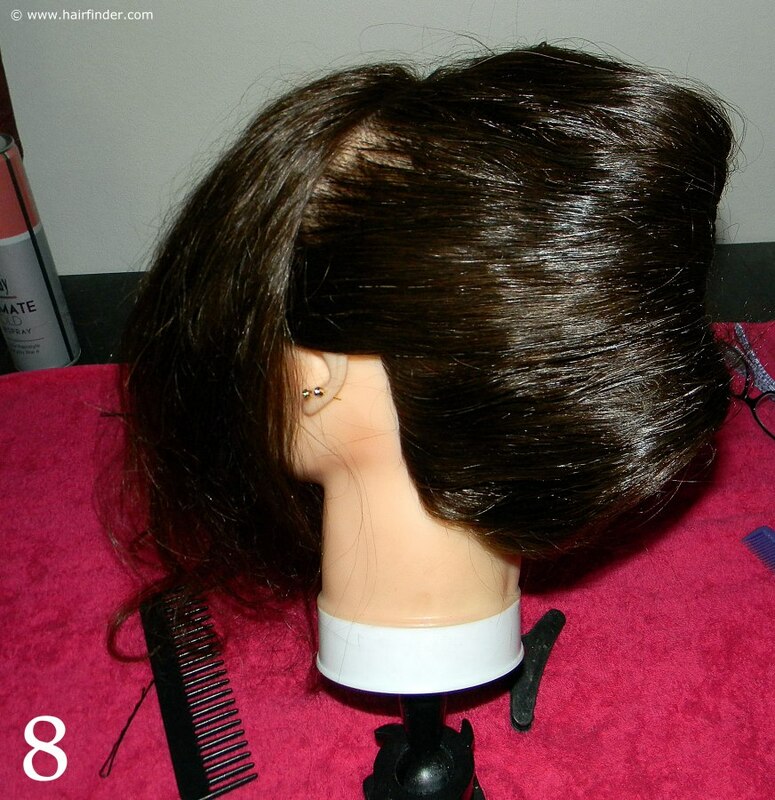 Loosen the bottom section and comb out the hair. 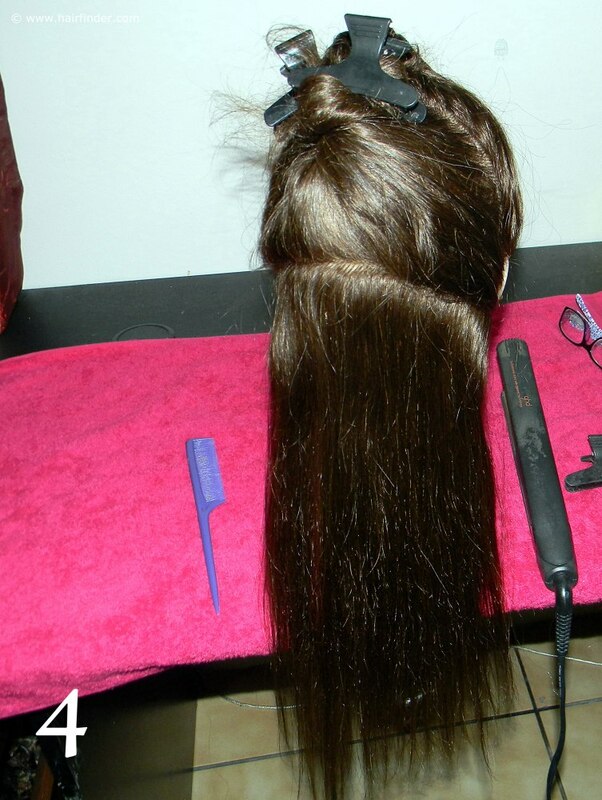 Spray the hair with a heat-protecting product, and start to straighten the hair with a flat iron. Flat ironing the hair will enhance the shine of the hair, and contribute to the aesthetic value of the final style. It is very important to always use a heat-protecting product when you apply any heat techniques to the hair. 5. Comb the straightened hair of the bottom section to the side with a fine-tooth comb. The finer the teeth of the comb, the neater and shinier the outcome will be. Remember to spray hairspray while you comb the hair in the side-direction. 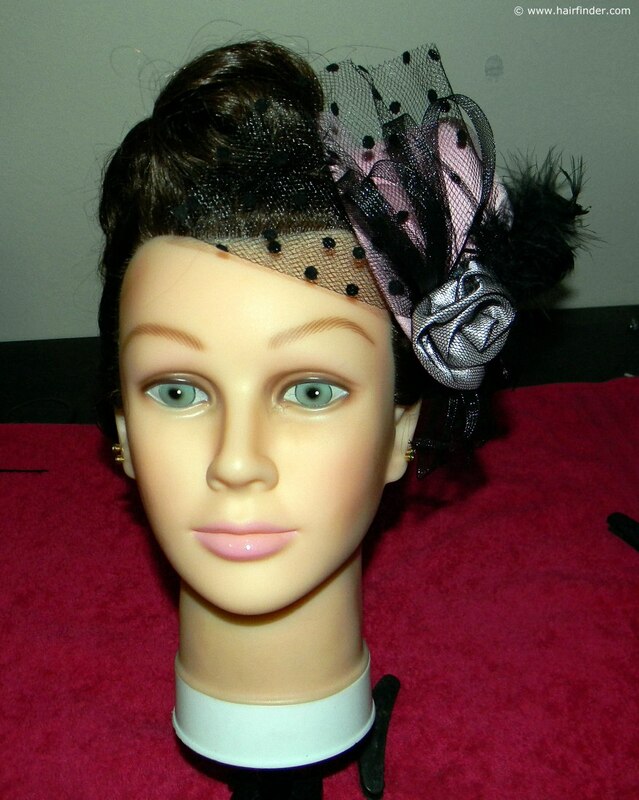 This makes the styling easier and contributes towards the shine of the style. 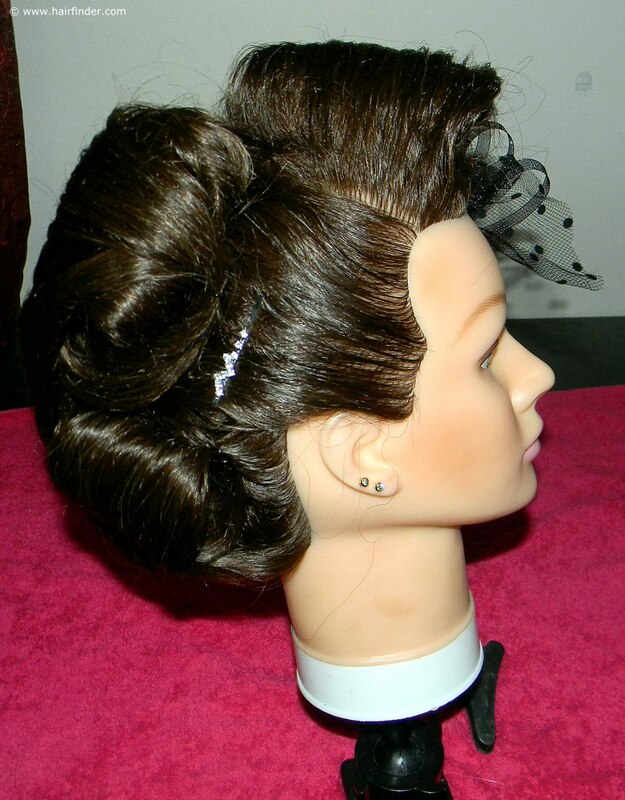 The hairspray also improves the structural base and strength of the style. 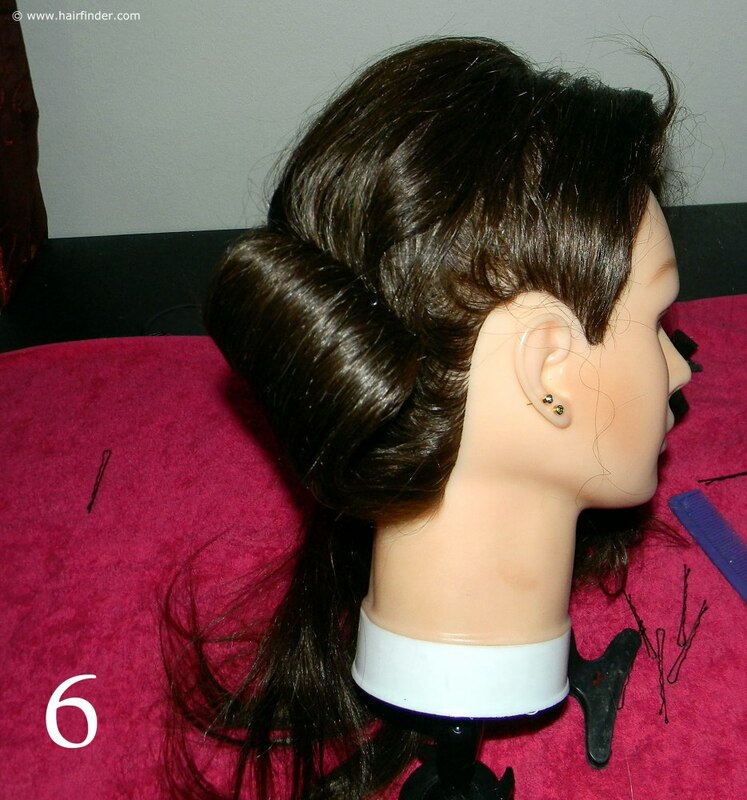 Insert bobby pins in a criss-cross formation, staring at the nape of the neck and working upwards. Remember to use dark pins for dark hair and golden pins for blonde hair. The criss-cross formation improves the structural foundation of the style immensely. 6. Comb the free-flowing hair with a fine-tooth comb to get rid of any tangles or potential knots. 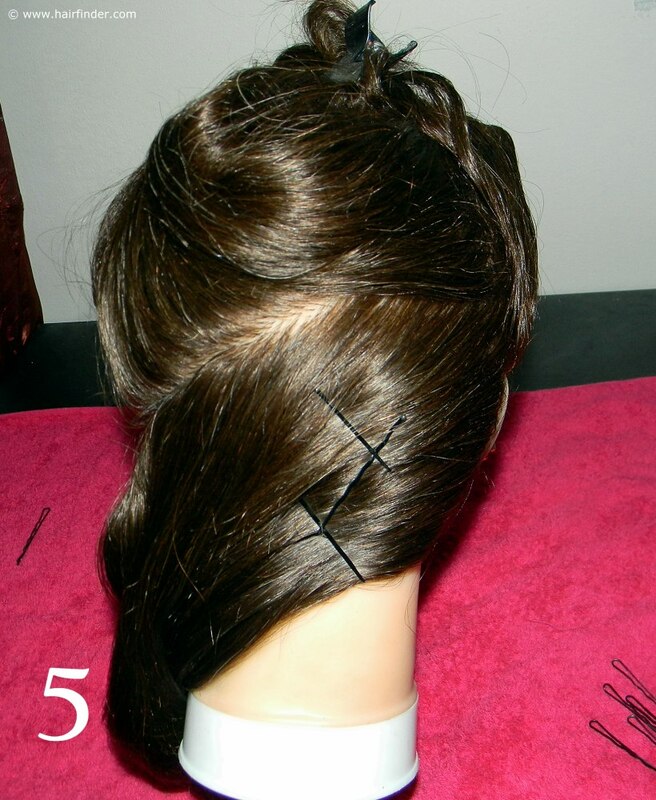 Roll the length of the hair around your fore- and middle finger to form the bottom roll. Remember to spray while you roll the hair into the form. You can use the long end of your tease comb to gently comb out any imperfections that might be present on the surface of the roll. Remember that the objective is to make the roll as perfect and seamless as possible. This might take a bit of practice, so make sure that you practice this style before attempting it for a big or important event. 7. Repeat the process in the middle-section of the model’s head. Take care not to disturb the roll that you have already completed at the bottom. Use your hairspray generously to improve the structure of the style and enhance the shine. Just make sure that you wait until the spray has dried before you attempt to work again in the sprayed section. 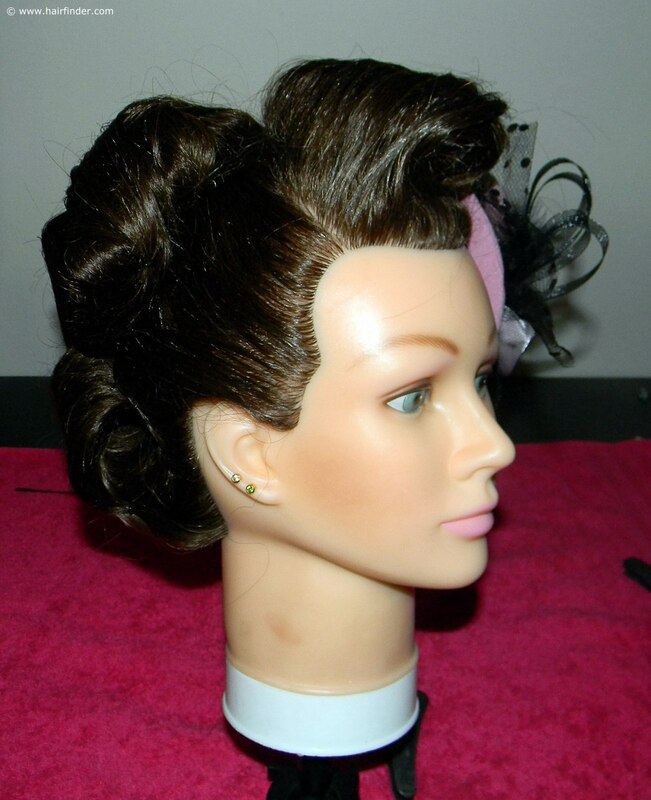 If you start working in the aforementioned section while the hairspray is still wet; the hair will stick to your fingers and ruin the style’s seamless surface.